Welcome to the movement. For the next five months, we are asking educators to take on the challenge of submiting a blog post, vlog, infographic, or podcast. 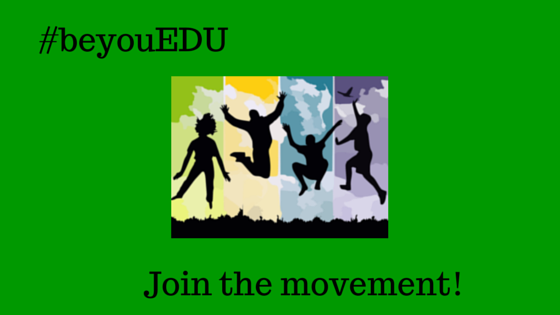 You can email them to me or post them on your own site, and tweet them out using the hashtag #beyouEDU. Ownership of whom you are.